Angina is (pronounced “an-JIY-Nah” or “AN-jin-ah”). When a someone complains of intense chest pain that is cardiac related we call this Angina Pectoris. Its sometimes described as if an elephant was standing on the patient’s chest. The muscle of the heart is called the myocardium, and like other muscles, the myocardium requires oxygen to function correctly. Oxygen is delivered to the myocardium by way of the coronary arteries. When the heart works hard, healthy coronary arteries can supply enough oxygen-rich blood to the heart muscle. 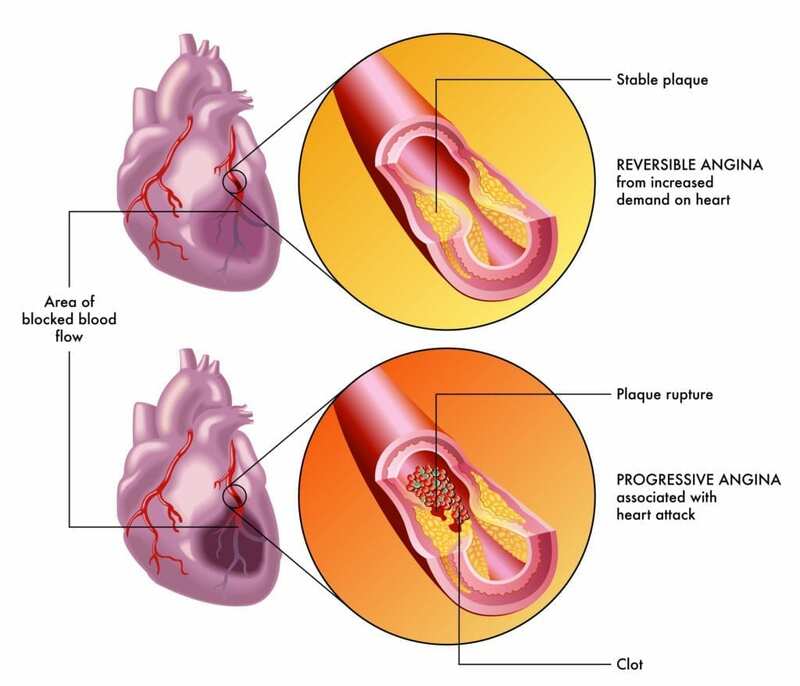 With diseased coronary arteries, the arteries start to become blocked and can not meet the hearts muscle requirement for oxygen. This lack of oxygen leads to a deficiency in Oxygen in the muscle and develops what we call Ischemia. Anytime heart muscle is not getting enough oxygen one of the ways it tells the body something is wrong is through the pain. This pain is what we commonly call chest pain, or as health care professionals, we call it Angina Pectoris or just Angina. If Oxygen flow is not restored the heart muscle will die in what is commonly called a heart attack.